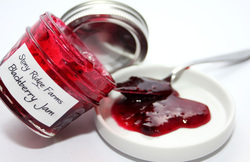 We use home grown fruits from our orchard to make tasty Jams, Butters and Preserves. Not all varieties are always in stock. If we are currently out of something, we can often times get a batch made from our surplus fruits in the freezer. At least until those are used up! Then you might just have to wait til next season! 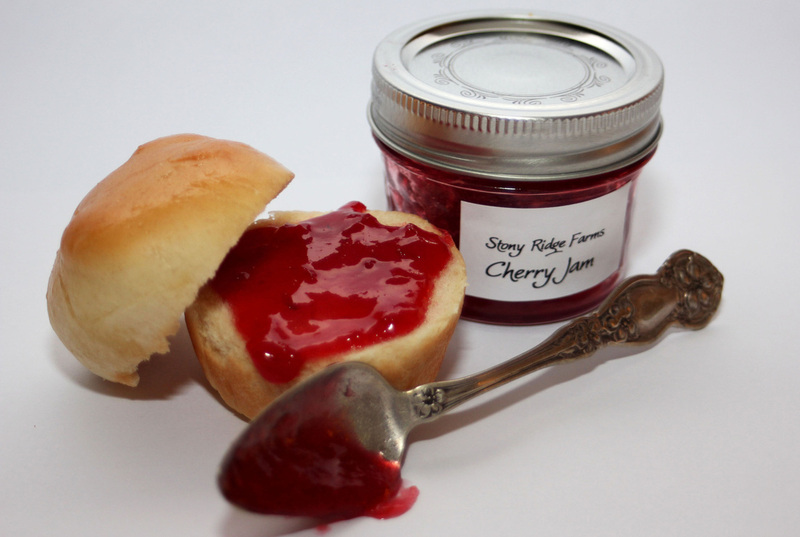 The varieties that we currently make are; Apple Butter, Pear Butter, Dark Sweet Cherry Jam, Tart Cherry Jam, Apricot Jam, Tropical Apricot Preserves, Plum Jam, Peach Jam, Blackberry Jam, Gooseberry Jam, Mulberry Jam, Grape Jam, Strawberry Jam, Blueberry Jam, Jumbleberry (strawberries, blueberries, blackberries and raspberries all jumbled together) and Banana Jam. Most are available in 4oz jars at $3.00 each and 8oz jars at $5.00 each.